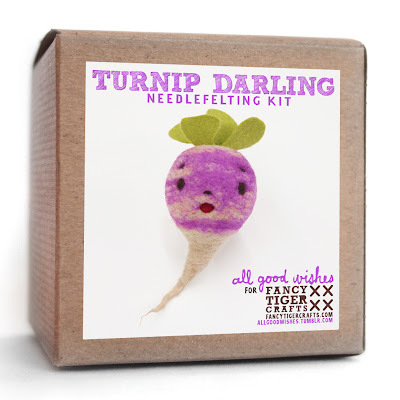 Fancy Tiger Crafts: Turnip Darling is Here! A new needlefelting kit friend has arrived! 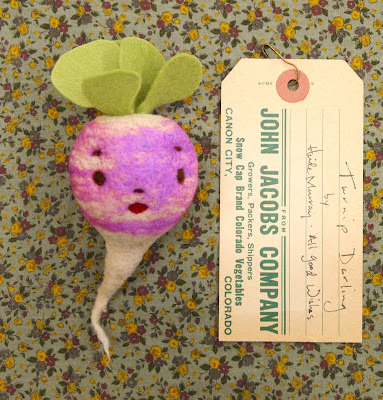 Turnip Darling is the most darling of all, thanks to Heide Murray of All Good Wishes! Heide is an amazing needlefelter, known for her adorable felt objects which she sells at local craft fairs like Fancy Tiger's Holiday Handmade. We are huge fans of Heide's work and asked her to design a needlefelting kit for Fancy Tiger. Please welcome: Turnip Darling! We hope you love this sweet turnip friend as much as we do! The kit includes everything you need to make two darling-to-the-max turnips of your own. 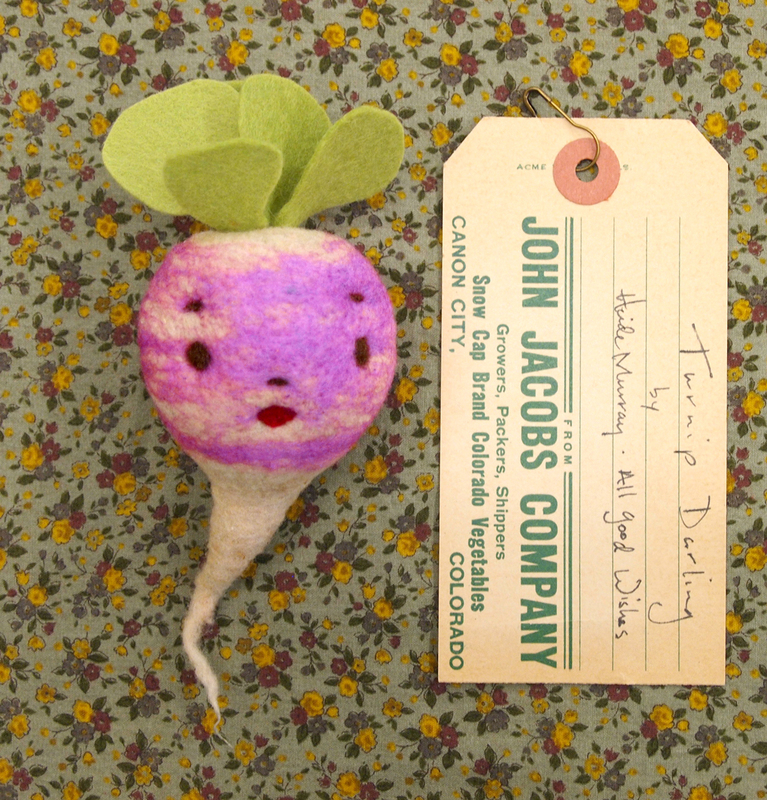 Turnip Darling is available in our shop here in Denver and in our etsy shop online.